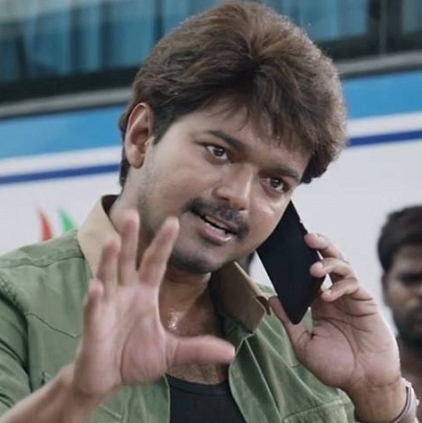 Vijay Herione angry for Vijay’s Hair set up…!!! She asks why tease..??? Home Tamil Cinema Latest News Vijay Herione angry for Vijay’s Hair set up…!!! She asks why tease..??? Recently, Bairavaa’s movie first look pictures are release in websites. But it has lot of criticizes comments and also disappointment comments. These images are virally in Social Medias. This film got memes in websites. But it is a one side of using websiter’s. But most of the people love and likes Actor Vijay’s Get up in Bairavaa. In this situation, recently Actress Abarna vinoth plays a lead role in bairavaa and open talks in one interview, she told Actor Vijay for this story based movie, he change his hair set up or wick. Not only Actor Vijay, so many heroes are acting in this style. But so many guys are creating unwanted pictures and she kindly requested to please stop the memes. Previous articleNayanthara’s upcoming movies…!!! Fans are eagerly waiting….